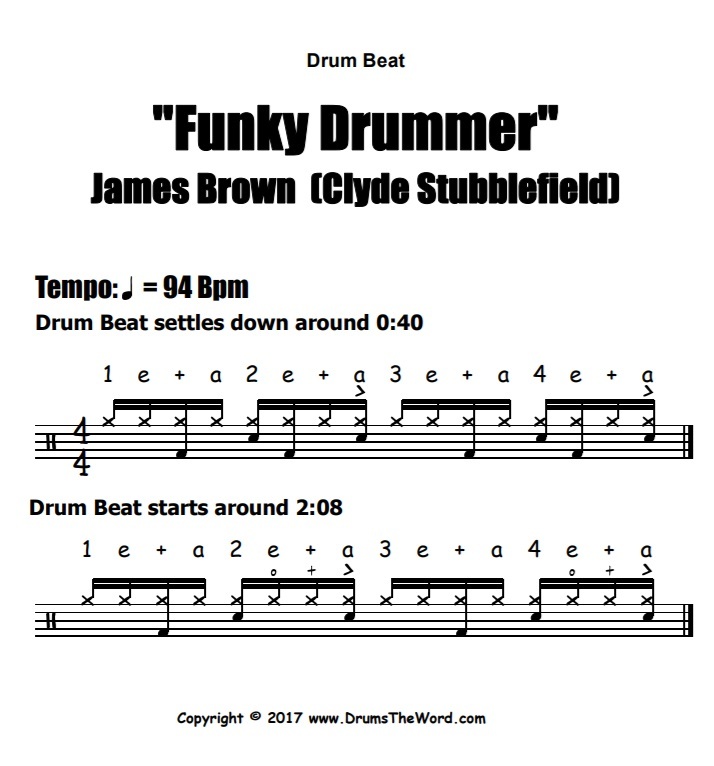 In this free video drum lesson, I want to show you how to play two drum beats from the beginning of the song “Funky Drummer” by James Brown, featuring the drumming of Clyde Stubblefield. 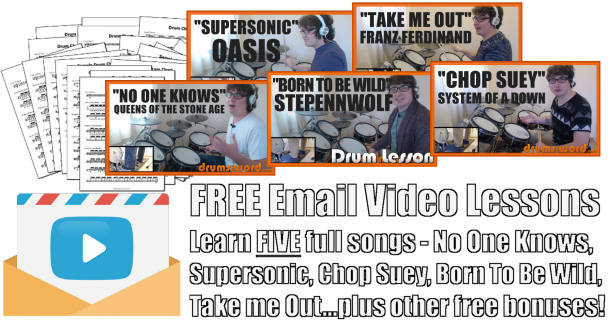 I wanted to do something a little different with this lesson and not focus on the famous drum break that every other drummer teaches, but two drum beats that occur nearer the beginning of the song instead. Both are funky as hell and require some serious right hand work in order to play. In typical funky way, Clyde also doesn’t play bass drums on beats 1 and 3, creating a funky groove with no let up!